Who doesn’t love to travel? If you’re constantly itching to fly to remote places and explore, or even if you’re venturing nearby for a weekend trip, than you’d benefit from the knowledge of how to help reduce the impact on the environment while you travel. It simply translates into traveling green and helping keep the earth clean. 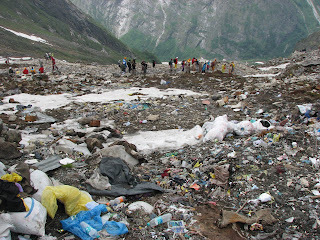 Every step matters, we have traveled at a higher altitude of 4,000m above sea level and seen an area littered with garbage, mainly plastic bottles, what a shameful sight. Well, that’s the case in many places in India and many other travel destinations across the world. It would be a different story if people knew how to travel green, and be little sensitive towards our environment. Let’s take a look into some tips of reducing our carbon footprints while traveling either within your own country or abroad. We can’t deny that air travel is harmful for the environment. Aircrafts emit nearly 10% of greenhouse gases to the environment, and that too at higher altitudes where these emissions have a heightened negative impact. Its not practical to completely rule out air travel, but if you have a choice then take a train or a bus. 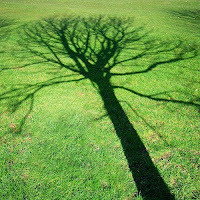 You can calculate your CO2 emissions for individual flights on several sites like – Carbon Calculator and accordingly find ways to offset your carbon footprints by investing in projects, like reforestation, renewable energy, etc. that reduce CO2 emissions. That would be the most important thing, to not litter places with junk. Even if you see locals dumping garbage on the road, which is a big possibility if you are traveling in India, don’t follow suit. Its happened even on Mount Everest, that mountaineers have dumped all sorts of rubbish on its slopes. If you go camping, its best not to leave anything behind but your footprints. Take what you brought with you, or use biodegradable products like soaps, toothpastes etc. If you purchase one bottle to drink and stick with it till the end of your trip, you will save the environment from the dangerous plastic bottles, as they take really long to decompose. Even better carry your own water container to avoid the hassle of buying plastic bottles. Simple living, high thinking, as they say. Live in eco-friendly or B&B accommodation, it would benefit the local communities, and of course the main resources like water, electricity would be used more sensibly. This would apply even if you aren’t traveling, to use electricity and water supplies sparingly. Turn off the lights if you aren’t using it. These tips can come in handy on your next trip, towards protecting our environment. This entry was posted in Ecotourism, Green Travel, Responsible Travel and tagged Green Travel, Responsible Travel, Sustainable Travel. Bookmark the permalink.